Students selected to study at MRSMs were selected based on their academic performance and intelligence (I suppose). Academic excellence was certainly very important and given that the students were supposed to be from the higher quartile from the academic perspective, high passing rates at the SPM stage should not be a surprise. As far as I am concern, being forced to be independent at the early stage of life forced all of us to mature quickly and had to learn to take care of ourselves and relied on the support of friends and teachers. 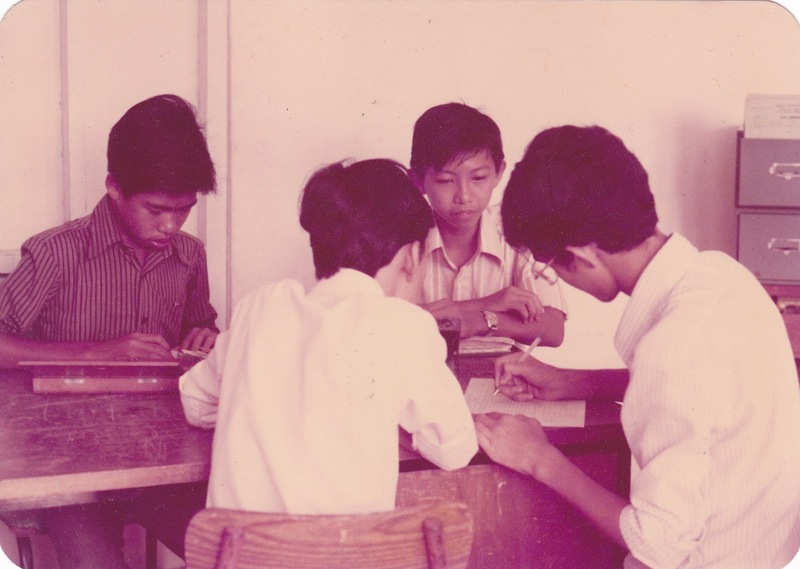 The MRSM system also encouraged students to be involved in many extra-curricula activities to ensure students have broad human skills which would prepare them for the future. Naturally most of us took up sports and the popular games during my time was football, hockey and softball. All these games were played on the field which was quite rocky and hard. However, for many of us, that was not an issue at all. I played soccer and tried very hard to join the college team. 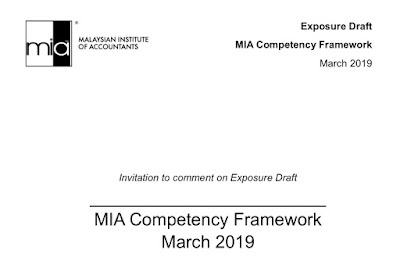 The furthest that I got was to be selected into the RSM category - Reserve Sampai Mapus. The college team however won the Under 15 Inter-school championship by beating Sekolah Menengah Sultan Ismail, a record of sort. 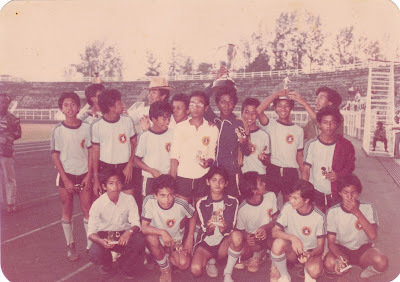 The game was played at the Stadium Sultan Mohamed IV, where the Piala Malaysia and other high level games were played. Pok Ya Golok and Jemi Mezah were among the stars that we had, both imported from Thailand. P/S - They have Malaysian identity cards. Whenever we had any match with our neighbour, Sekolah Menengah Sains, the temperature on and off the field will be boiling. I remember a match when it had to be played on a neutral ground, at the Police Field Force field across the road. This was also to enable the supporters to be supervised by the police to prevent untoward incidence. I knew that some supporters from both team had 'extended matches' at seclude places behind the college to settle the 'final score'. 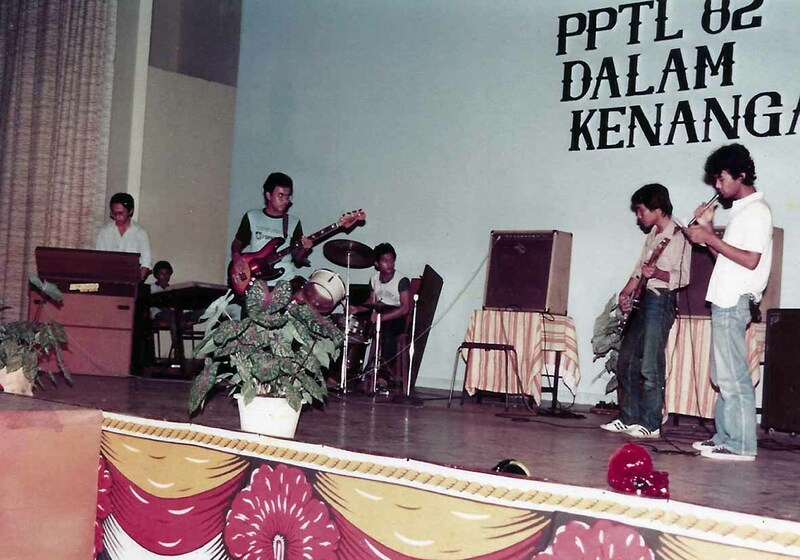 We were also active with cultural activities where many of us formed their own bands. My dorm mates Fiezal and Lani are among few of them. Fiezar has a natural talent for music and he played his guitar very well. There would be band competitions and show from time to time those days. Many tried to master the guitar and we could hear people streaming guitars in most of the dorms during free hours. Most will start with "Biarkan Bunga Berkembang" as it was an easy song to play, only few keys required. The more advanced guitarists will start to venture songs like Hotel California, Kamalai and other songs of popular music groups such as Eagles, Air Supply, Alleycats, Sweet Charity and Carefree. This was also the era of the disco where we could hear songs from Bee Gees and Bonny M being played everywhere. There we students who venture into Dikir Barat and the most popular song was "Jahane habih kerano mung". At the same time, the Tabligh missionary movement were also taking roots amongst the students. This is more visible on Friday when many groups of people will move from one dorm to another to encourage students to attend religious lectures at the surau. Mazlan Musa, Shahrol and Man Malik were the Tabligh activists then. From time to time they would join other Tabligh members at their centre in Kota Bharu. Some of us joined the Islamic society which tend to compete with those who are more inclined to participate in cultural activities. There were numerous occasions when a competing event at the sure will be organised whenever there was cultural event at the college hall! Different from the present when such situation would normally raise emotions, we were rather cool and were able to respect each other preferences without much fuss. One of our traditions was to organise Merdeka Night where normally certain historical scenes would be re-enacted. I remember participating in creating the scene where the Malays were fighting against the Malayan Union which was championed by by Harold MacMichael in 1945. Our cooperative was also an avenue for the students to learn financial management. The coop shop was very popular especially after the preparatory classes in the evening. Maggie would be the most sought after commodity together with drinks. My uncle, Nik Yahya, ran the food corner and his popular menu was fried chicken. For a student at that time, having free fried chicken was a big deal. I was one of the officers who ran the cooperative bank. This was a set up to facilitate students to save money and they were able to withdraw whenever they need. We normally worked in pair and Yeoh was one of my fellow bank officer. That was the time where I had to balance the book, something which later became my profession. The kind of opportunities offered to us at the college helped us to enhance our human and managerial skills. To me, these opportunities were the major influencers which shaped my characters. Being forced to stand own your own, make your own choices and decisions and learning the consequences of the choices and decisions provided me with the foundation to face the greater challenges of live later.